DescriptionBeach theme guest book. 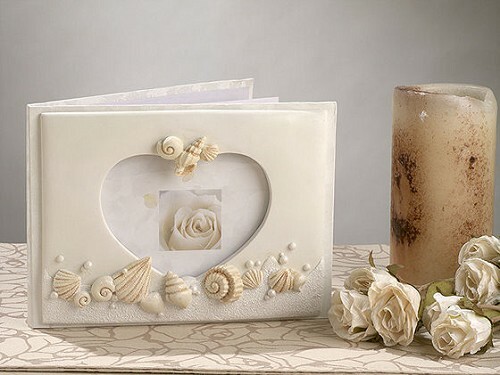 Beach theme wedding guest book accented with seashells design in sand colors. Comes packaged 1 book in a gift box. Measures 8” x 6”. Beach theme guest book. Beach theme wedding guest book accented with seashells design in sand colors. Comes packaged 1 book in a gift box.